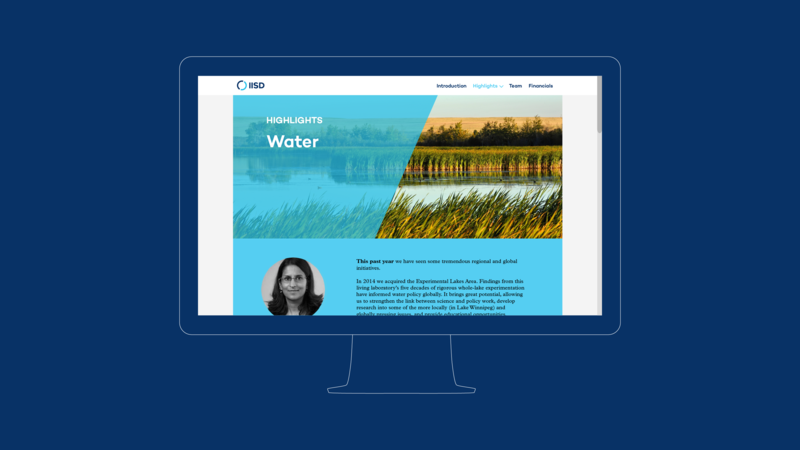 The International Institute for Sustainable Development (IISD) is an independent think tank that promotes human development and environmental sustainability. 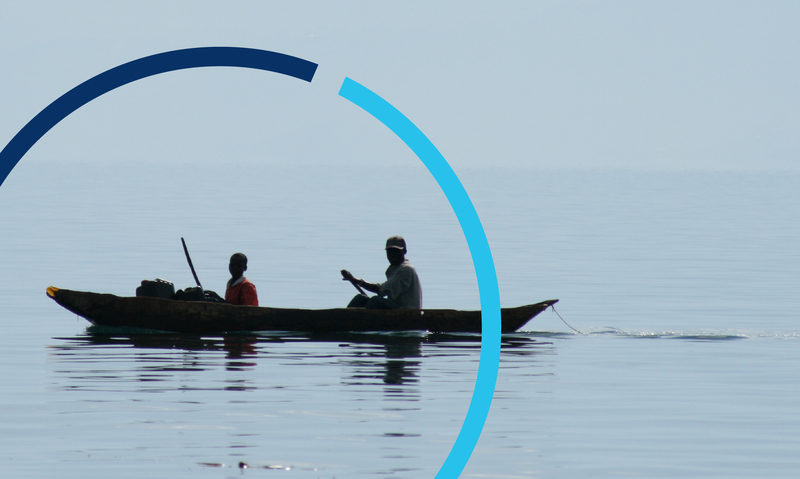 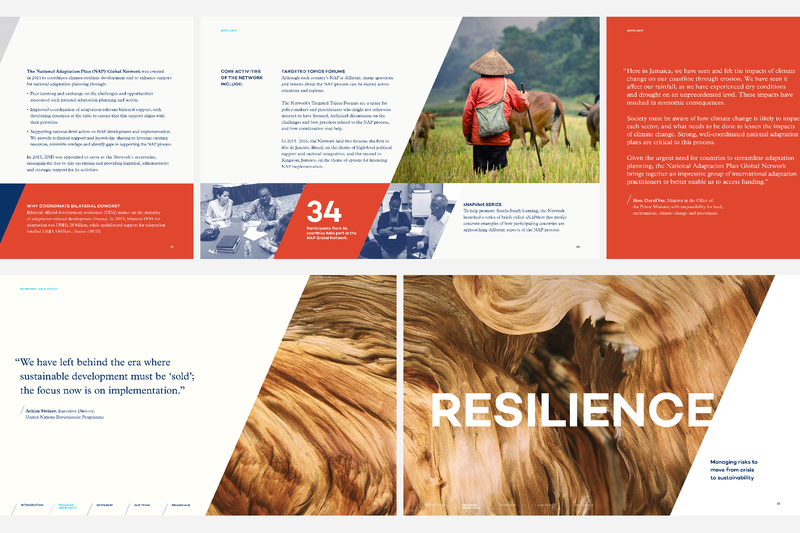 IISD champions policy solutions to challenges such as climate resilience, gender equity, and implementation of the Sustainable Development Goals. 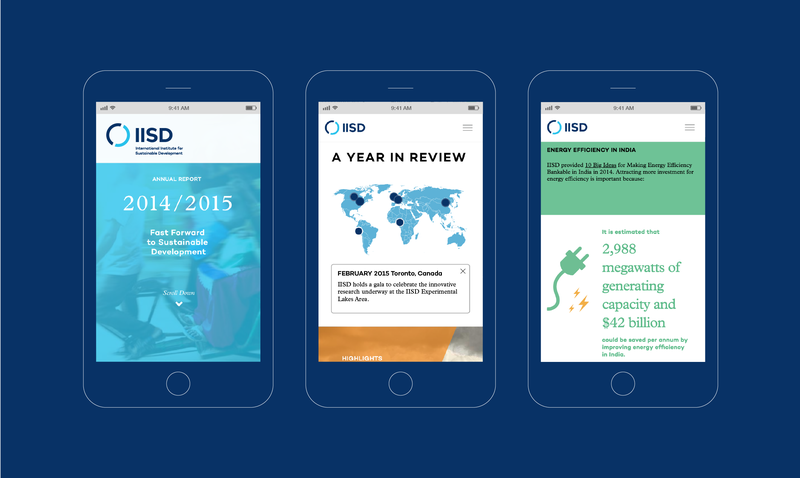 As IISD renewed its strategic direction, we led them through a rebrand to better align their communications with their mission. 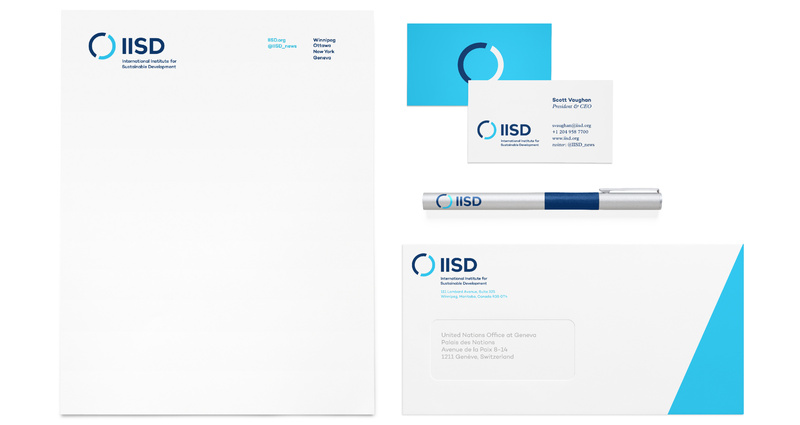 We began by auditing IISD’s existing branded materials and surveying key staff and board members to understand the challenges and opportunities of communicating what IISD does. 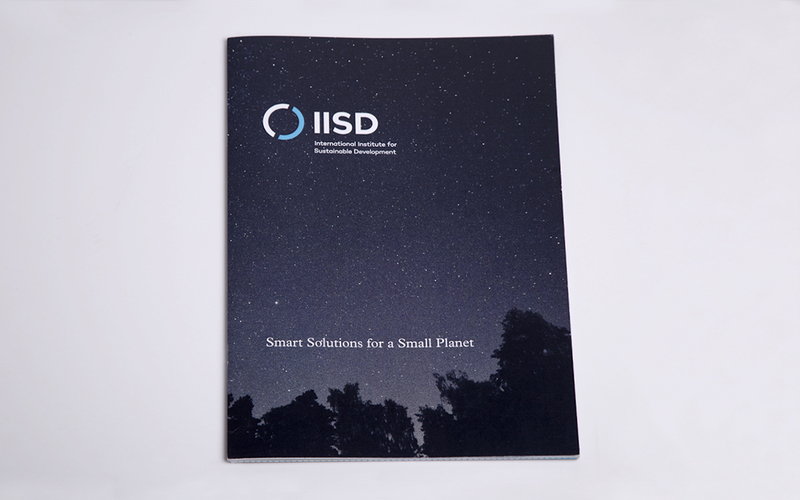 We then designed a new visual identity based on a globe, reflecting IISD’s commitment to advancing a bold global shift toward sustainability. 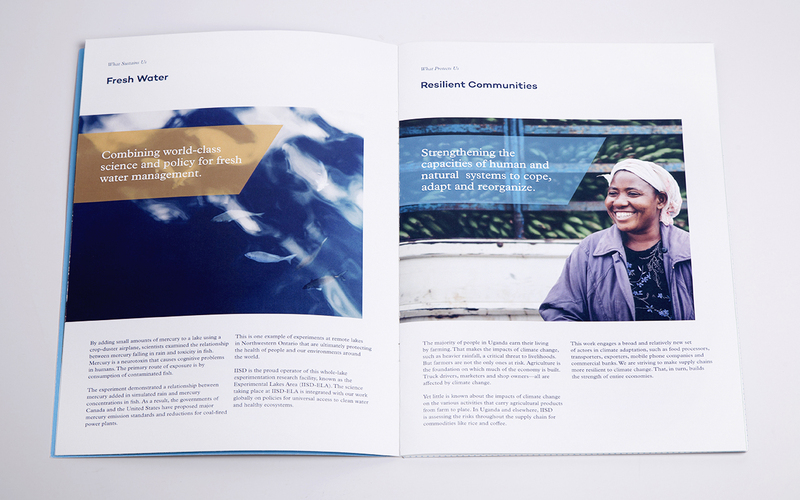 It weaves together stories, data, and immersive photography to highlight examples of human resilience. 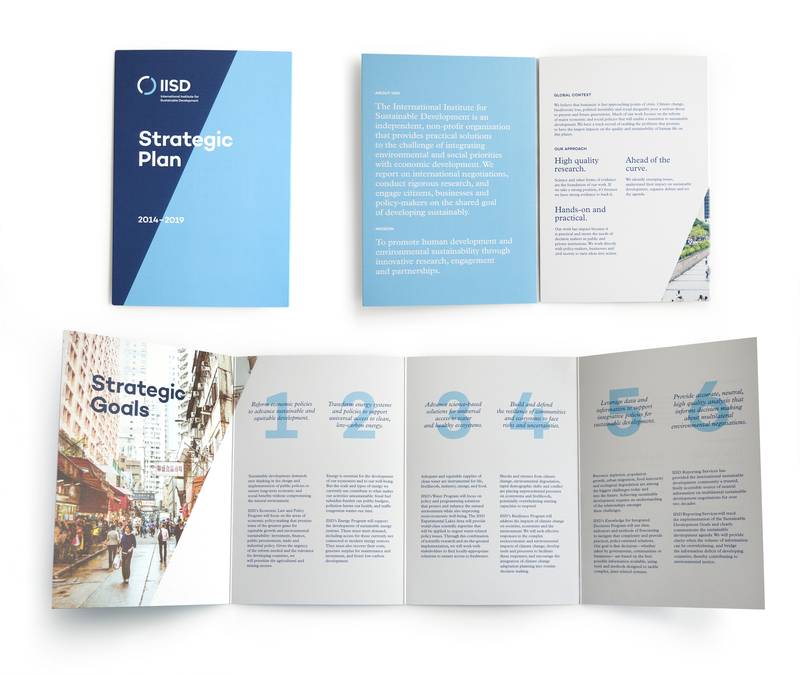 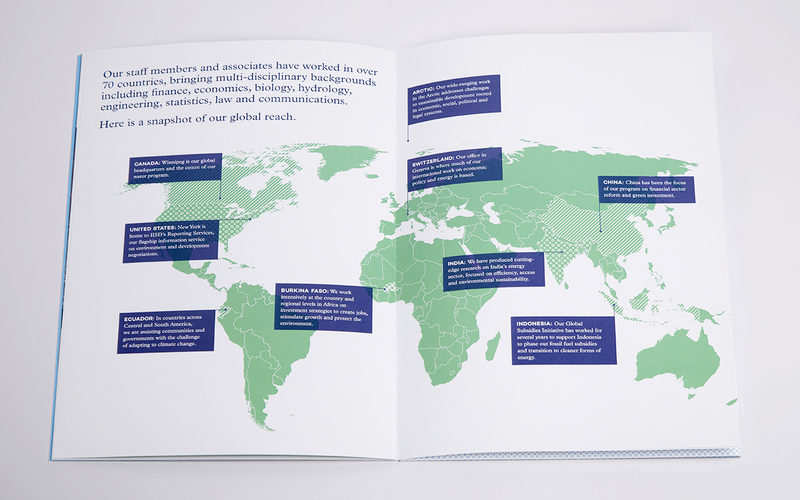 We equipped IISD with this robust visual identity system, publication templates and brand guidelines capable of supporting their work in nearly 100 countries. 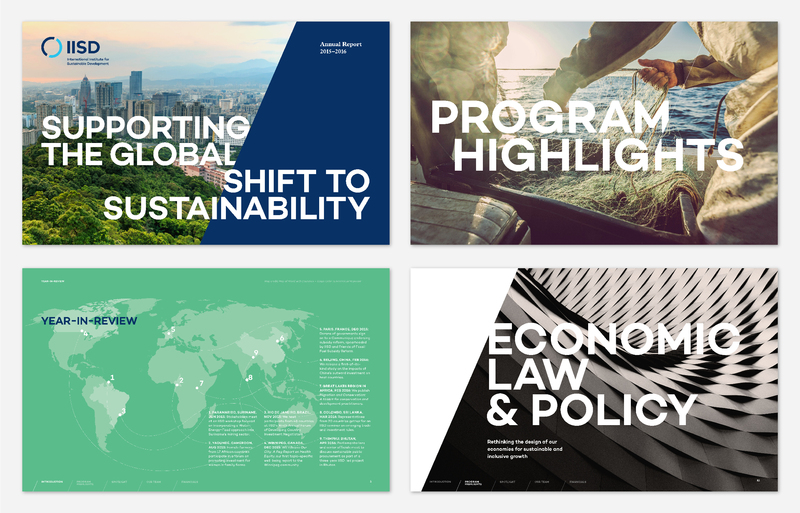 Following the roll-out of the rebrand, we published a suite of marketing brochures, annual reports, infographics, videos, and websites. 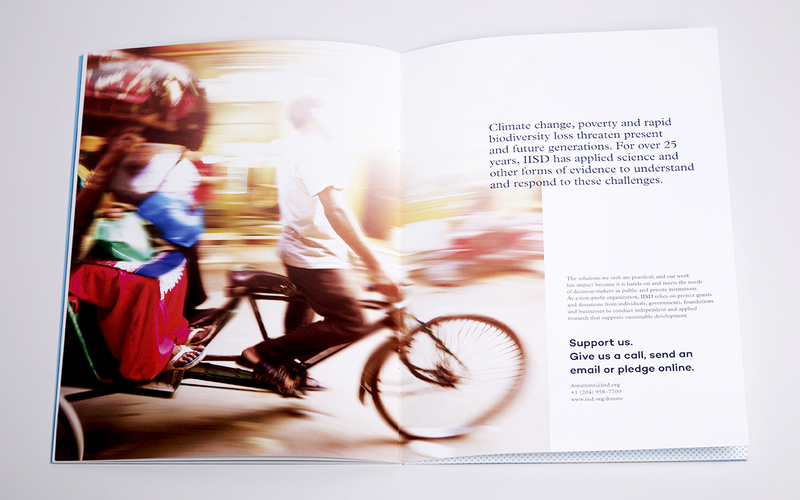 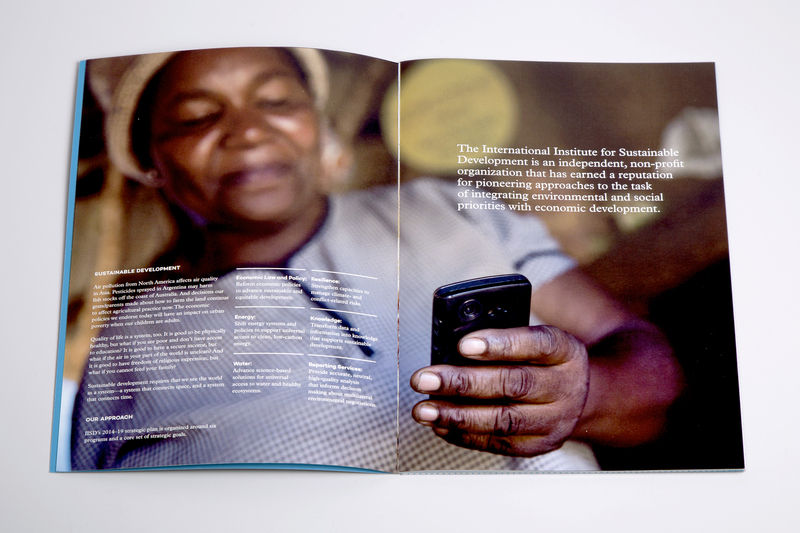 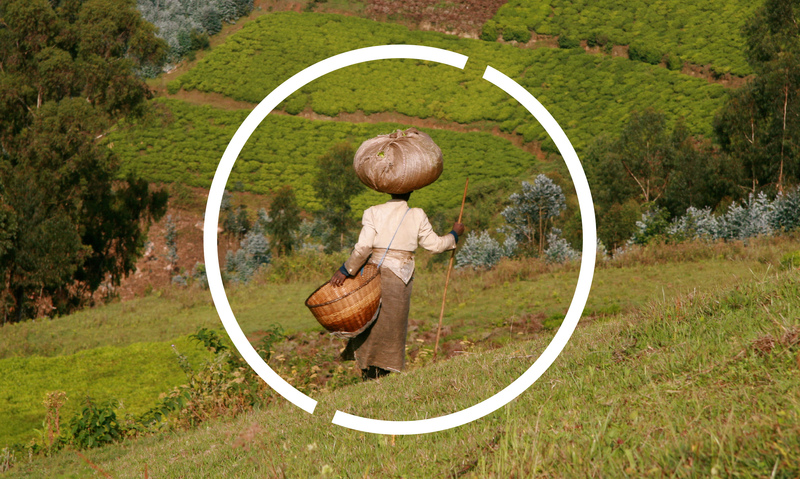 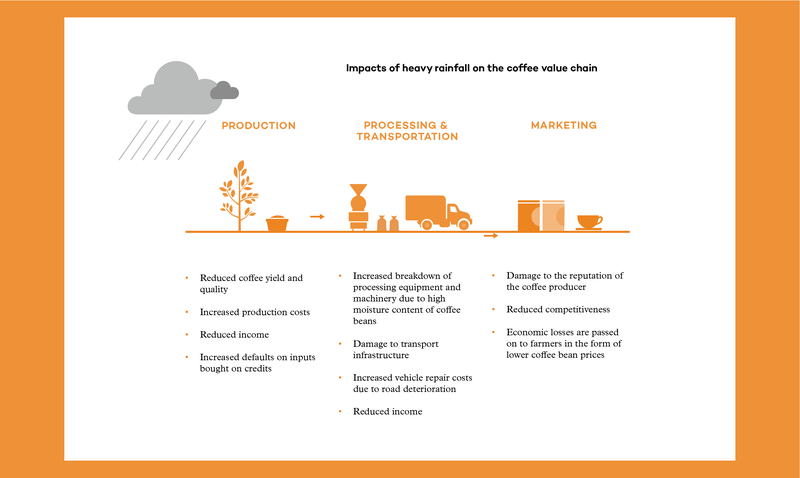 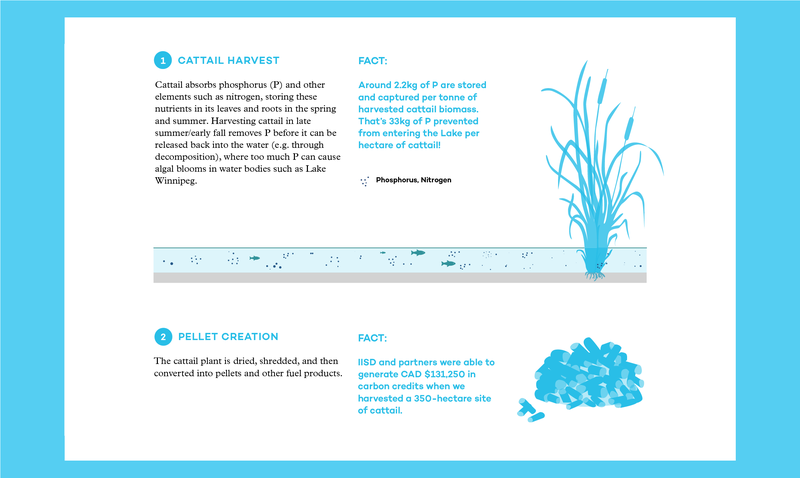 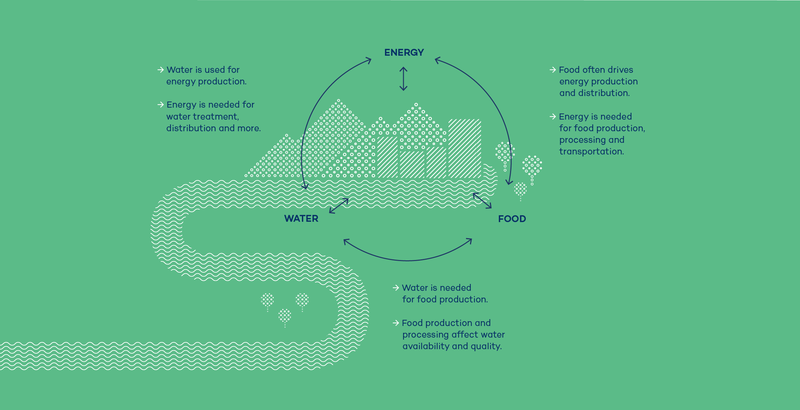 The new visual identity and subsequent materials have enhanced IISD’s international profile, and helped them to more effectively communicate their impact in improving livelihoods around the world.